Signed and dated, l.r. corner, brown oil "L.Buvelot. 1876". 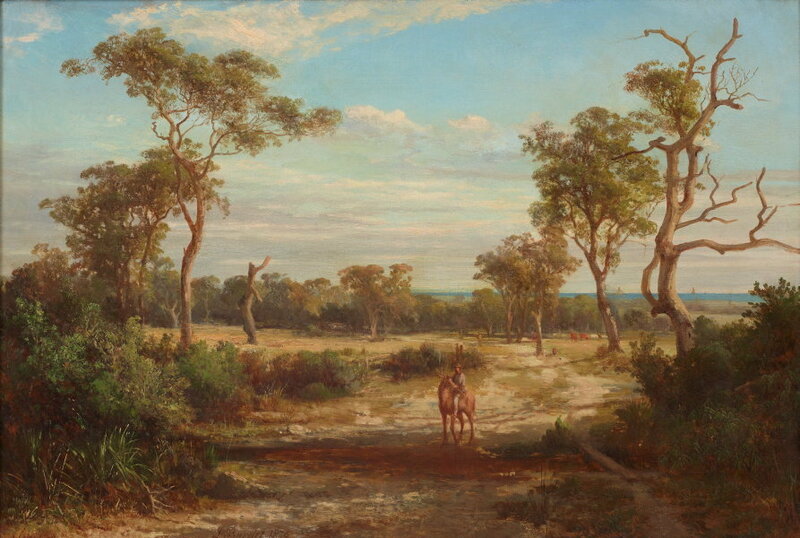 Rodney James, Louis Buvelot on the Mornington Pennsula , 'Louis Buvelot: Bush track, Dromana 1875', pg. 3-19, Mornington, 2010, 14 (colour illus. ).